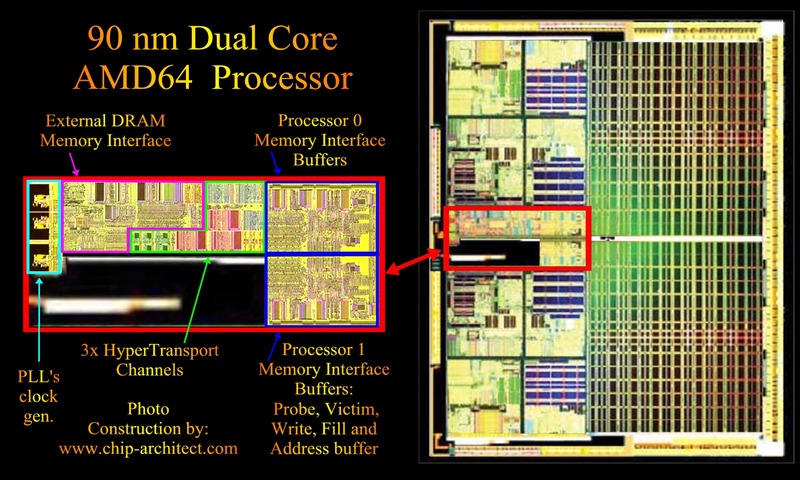 Wanna see an excellent dual-core Opteron die photo comparison featuring a scaled dual-core photo compared to a close-up of the memory interface? Look right here. And when you get done with that, try saying that sentence - in one breath or even at all!